I’ve been waiting to repaint my son’s room until he either identified a color he preferred OR came out on the other side of a throwing-things-at-the-wall phase. Apparently the joke’s on me because he really isn’t that bad about throwing things and he recently identified his color preference: traffic cone orange. No thanks, mini man. I guess it’s time for me to get to it. So light yellow-ey green it is! 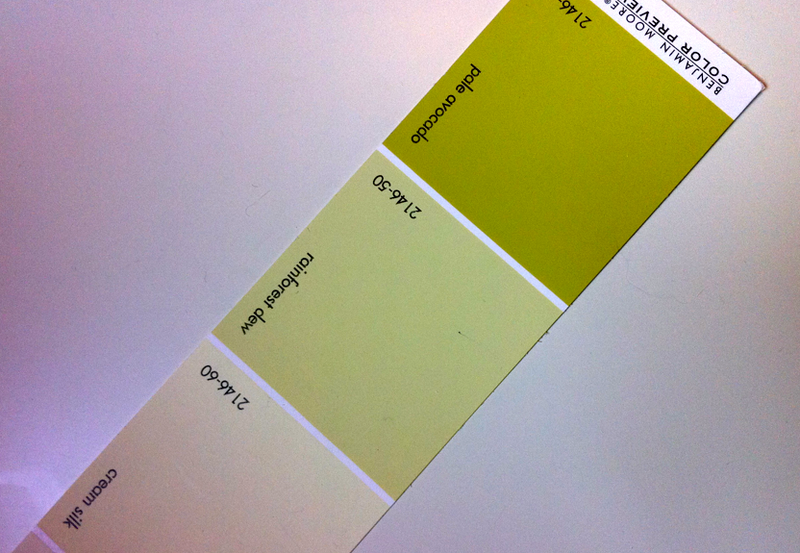 Or “wasabi.” Or “avocado.” Or “light yellow-ey green.” After a weekend of testing, here’s my selection. Which one you ask? Well, that’s the thing. I love the deeper shade, Pale Avocado. But it’s too deep. It’s especially too deep because we rent our lovely condo and our landlord is the most fantastic of landlords and not only painted our place for us, but seems to value my professional opinion and enjoy our color selections. As such, we want them to remain non-offensive, neutral, pretty, and widely appealing. So no to the “pale” avocado…which is not pale at all. I love it! 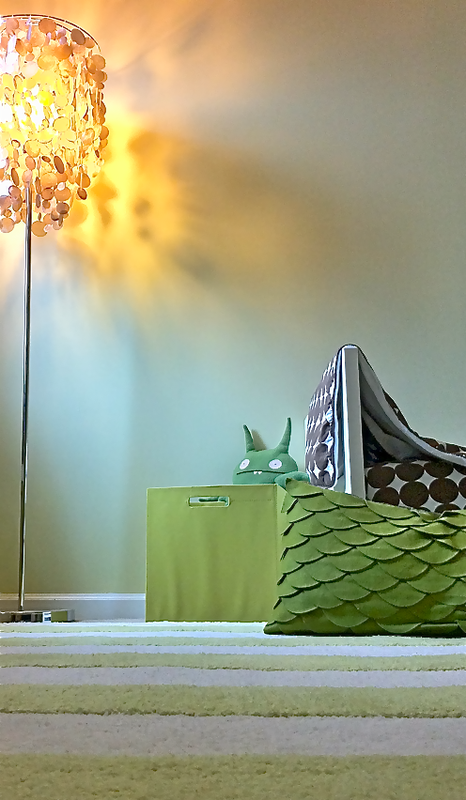 Not too light, not too green, and equally appropriate for a two year old as it is for a 30-something’s office. Which some day very very far from today, it will likely be. What do you think? My son’s coming around. I suppose it’s the next best choice after “o-nage!” (which adult humans pronounce as “orange”). ← Friday’s Five Under $50: Royal Wedding!